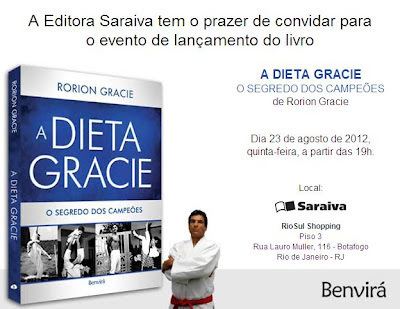 Rorion Gracie is inviting everyone to check out the Gracie Diet book now in Portuguese. 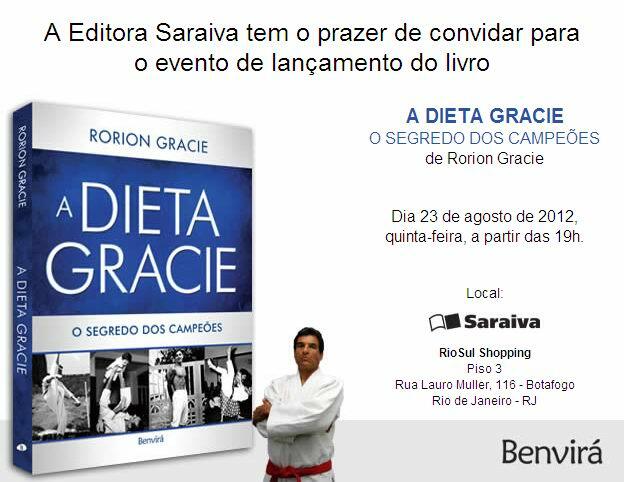 The book launching will be in Rio on August 23, 2012 at the Editora Saraiva in Rio de Janeiro. Don't forget to check out Leo Vieira's luxury BJJ Camp in Turkey! Two days will be off, which on 3 August; there will be a visit to Aspendos and on 6 August there will be a visit to Hypnotics Water Ski Park. In the vacation, all food and beverages are included. And the rooms are available for two guests. In addition, BJJ practitioners get 10% discount on SPA & Treatments. When you decided to participate this vacation, all we need your flight dates to take care of the transfer procedures. Free transfer from Antalya Airport to Spice Hotel & Spa is also included in the fee. The training area is a closed, with air-conditioned and fresh aired section boarded on 800 m2. This vacation is a big opportunity for the BJJ practitioners as they don't have to choose between training BJJ or taking a vacation with their beloved ones.